We would like to congratulate Joan Fields and family on their newest addition, Brody Scott! 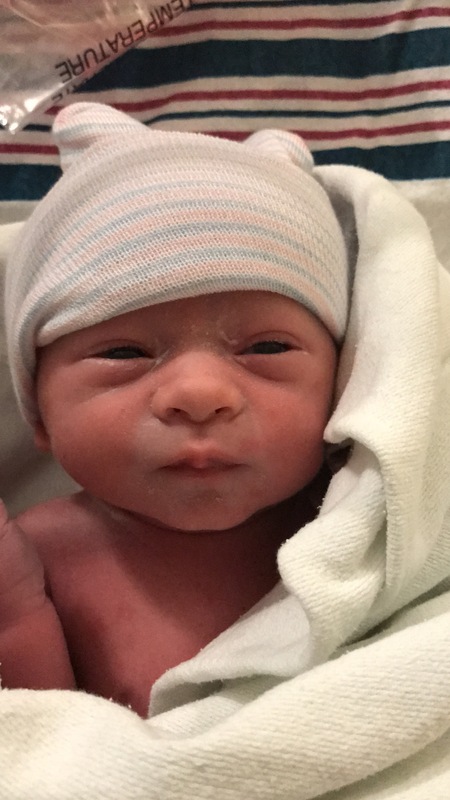 He arrived a bit early, July 14th, weighing in at 6lbs 4oz. Welcome to the world, Little Man! Congrats Joan and Brian! He is beautiful and I can’t wait to meet him! Congratulations Joan and Brian! He is precious! Yayyyy!! Joan you were on my mind today! Hope you doing great! He’s so handsom!!! Congratulations, Joan! So happy for you guys! He’s beautiful!!! Congrats Joan and family!